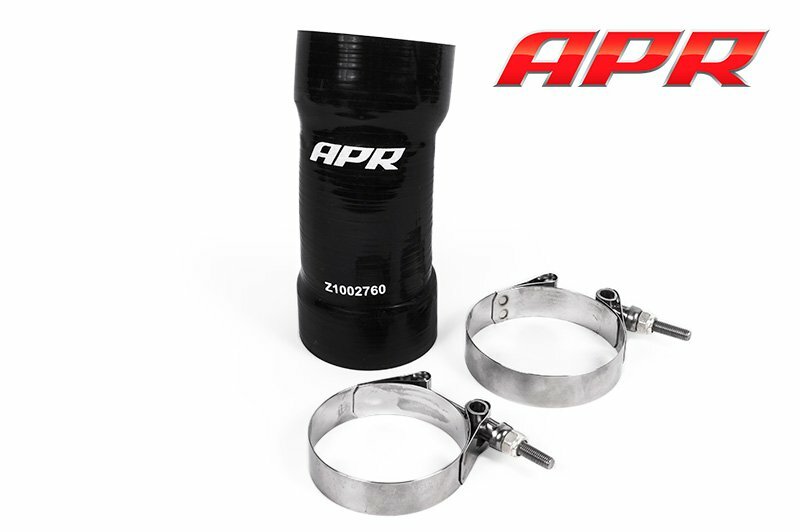 APR’s EZ-Flow stepped design provides maximum flow for maximum performance through a smooth, port matched transition from hose to connection surface. 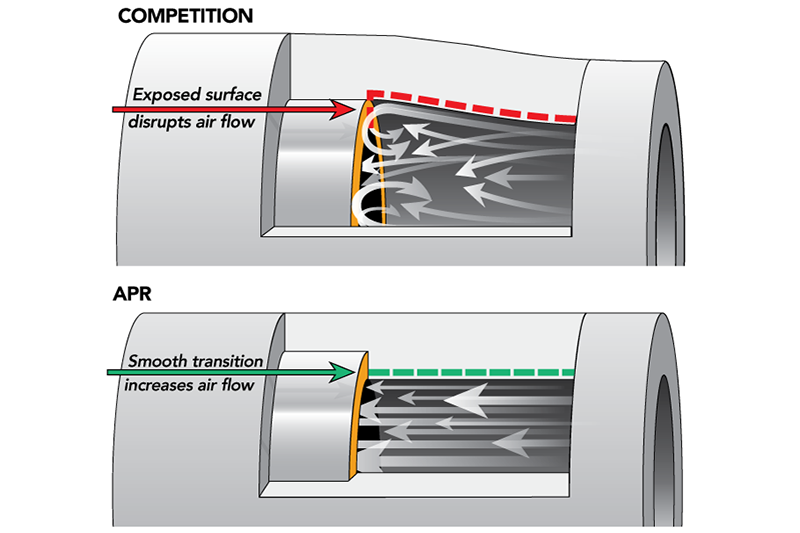 Pressure tested far beyond the engine’s capabilities, the system maintains performance under extreme conditions and increases both heat and burst resistance as well as mating surface adhesion compared to rubber. 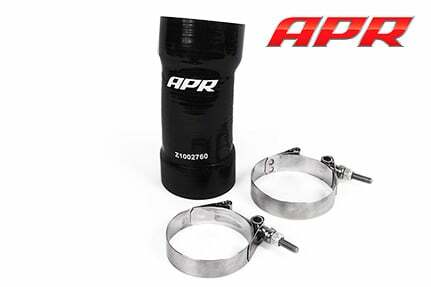 APR take quality seriously. Each hose is fully tested before it leaves our doors to ensure fitment and our EZ-Flow design is perfectly matched! APR’s Engineers took a multi-step approach to optimizing the hoses to minimize boost leaks, reduce turbulence and other performance degradations. Four-ply silicone was utilized as it provides the thickness and strength characteristics necessary to support boost levels far beyond the engine’s capabilities. A Fluorosilicone internal lining was added to ensure the hoses do not rapidly deteriorate over time when exposed to oil and gasoline from the PCV and EVAP systems. The included stainless-steel Clampco T-bolt clamps prevent the hoses from coming lose under heavy pressure and under high temperatures, silicone adheres to its mating surface, further minimizing leaks and hose slippage. APR’s EZ-Flow stepped designcreates a smooth airflow path, reducing turbulence over non-stepped designs. Finally, silicone provides better heat resistance over rubber, extending the life of the product and ultimately minimizing failure. The result is hose solution that directly replaces the factory rubber hoses and maintains performance under extreme conditions! 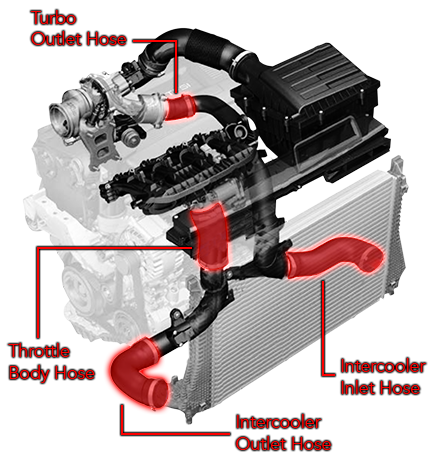 *The turbo outlet pipe does not fit vehicles with the 7 speed DL381 transmission.